Home Topics Professional Learning What Will Change If I Start Practicing PBL? My PBL journey as a teacher and site leader began in 1990 when I worked in PBL and non-PBL classrooms. I too experienced a transformation as an educator, and have seen the impact on students more times than one could count. The more ownership and choice I gave to the students, the more they succeeded and exceeded expectations. The more I was able to facilitate their connections to their communities and personal interests, the more engaged and focused they became. The more I allowed students to address real-world problems on and off campus, the more empowered and adult-like they were. I recently reconnected with some of the many PBL teachers and schools that I have known and worked with over the years. It really stuck out to me how many of them had similar stories to tell about the positive impact that PBL had on their practice. To encourage all of us to engage in some PBL PD, I wanted to share some of these teachers’ “aha’s” – or revelations, if you will – of those who have undergone this PBL transformation. While some us will have heard about a few of these benefits before, I believe it is inspiring and impactful to hear the words straight from the horse’s mouth. Many of the teachers I spoke with reflected on their changing roles as a teacher once in a more project-based environment, and on how they learned to really enjoy their new position of facilitator/coach instead of the traditional lecturer/presenter. Minarets High School Social Studies Teacher Katie Morgan (@missmorgan810) said that although it took her awhile to adjust to the change, she’s really enjoyed going from “the sage on the stage to the guide on the side.” Which makes sense–if we all want to engage in PD that meets this criteria, shouldn’t we provide a similar learning environment for our students? 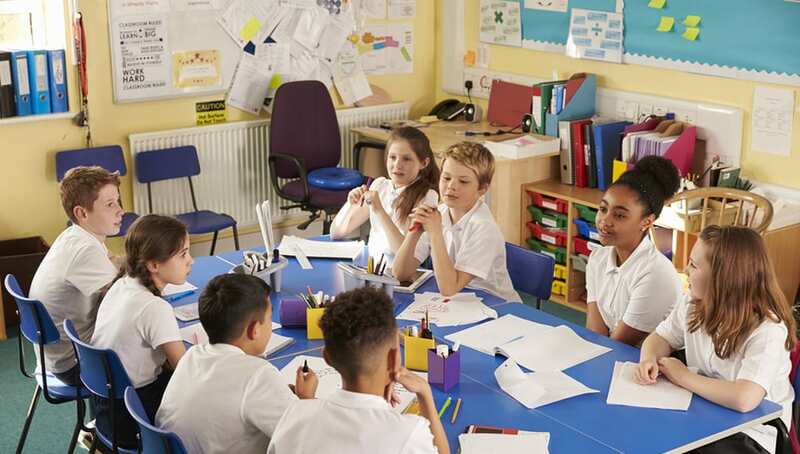 In addition to the new and expanded role as a teacher, many PBL teachers at all grade levels have noticed that they feel more connected to their students, are more student-focused in their practice, are more aware of student success and needs, are less stressed and are having more fun in the classroom. Another common theme I observed was a realization that students are transformed by both demonstrating higher levels of ownership in their learning, and the deeper engagement that naturally follows student ownership. Surprisingly, many of the teachers I spoke with told me that they even began to view their students as more mature, professional, focused and ready. Kingsburg High School Agriculture Teacher Amanda Ferguson (@MsFergieFerg) has enjoyed the fact that students seem to enjoy themselves a great deal more, because she feels like it has helped her to see greater student success. She also said that students see themselves as more successful. Many teachers remember when they first witnessed a transformational change. Katie Morgan said she will never forget when she first offered a PBL project and presentation as the final in lieu of a huge culminating exam. She vividly remembers one student who was almost in tears after indicating that this may be the first time she could pass a final since it wasn’t based on a test. In addition to increased student engagement and ownership, many teachers also indicated that PBL has helped them begin to see their students as more self-reliant, independent and capable. They also noticed that students’ skill growth is addressed more in the areas of the Four C’s, technology, soft skills and employability. Another amazing by-product of a more project-based classroom is that a different classroom environment and culture emerges. The teachers I spoke with described their classrooms as more “dynamic,” “collaborative,” “engaged,” “fun,” “equitable,” “alive,” “vibrant,” “interesting,” “positive” and “learning-oriented,” and said that they now see their classrooms as learning places driven by relationships and collaboration. Project-based learning is the dominant pedagogy at New Tech Network schools. Teachers at the Napa and Sacramento New Tech campuses believe that PBL has helped create an environment and culture that are much more welcoming and collaborative. With an emphasis on team teaching, real-world challenges and community partnerships, teachers at both sites indicated that their culture has shifted to be much more student-focused. Physics Teacher Dorothea McFarland said she experienced a major “aha” moment when she realized that she had finally helped the student that had previously struggled the most and that the student was now one of the most accelerated. “In my eyes, PBL has been a real game changer for students. It has created a more equitable playing field in my classroom,” said McFarland. New Tech math teachers added that students now see math differently – that it’s not “something that lives on an island,” but rather something that can create new and authentic learning opportunities. Students are the real stars at the New Tech campuses. These teachers emphasized that they join together with students to make the environment a positive one so the emphasis can be on teaching and learning. The educational environment reflects a professional atmosphere; relationships between staff and students are more like a mentor/mentee rather than teacher/student. Collaboration is maximized and lecturing is minimized! The culture is one based on a higher level of trust, respect, and responsibility than is typically found in most schools. Back at Minarets High School, Katie Morgan said that classroom management or behavior issues are almost non-existent since she became a project-based learning practitioner. For educators who have yet to experience these transformational teaching revelations, project-based learning can be a breath of fresh air. If you’re interested in getting started, Getting Smart’s Preparing Students for a Project-Based World can be a great resource.